Marking 10 years to the day of his debut album's release, Bentley returns to his roots by re-imagining this J-pop classic into an enormous stomping anthem. From the album "TRANS//LATED: 10th Anniversary Album". Bentley's anniversary celebrations continue with this brand new J-pop covers album. 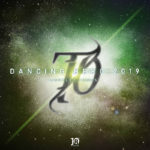 Featuring his Nodojiman performance song "Get Wild", the anniversary version of "Final Night" and the brand new single "Dancing Hero 2019".